Home » Arsenal » Official: Arsenal Sign Sokratis Papastathopoulos From Borussia Dortmund. Official: Arsenal Sign Sokratis Papastathopoulos From Borussia Dortmund. Arsenal have announced the signing of Sokratis Papastathopoulos from Borussia Dortmund on a three-year deal . It’s a transfer which looked all-but complete last month but finally, Arsenal have confirmed the signing of Sokratis Papastathopoulos from Borussia Dortmund. The centre-back arrives on a three-year deal for a fee believed to be in the region of £17 million. He is the third former Dortmund star to join the club in the last six months after the acquisitions of Pierre-Emerick Aubameyang and Henrikh Mkhitaryan. Sokratis made almost 200 appearances for Dortmund during his five years at the German side. The club has announced that he will wear the number five shirt for Arsenal, previously held by Gabriel Paulista. It’s good to see that this news has been confirmed by the club. 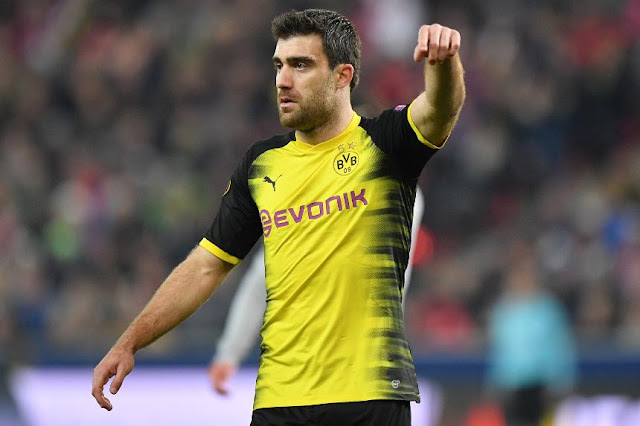 Sokratis Papastathopoulos has been a fine player for Borussia Dortmund in recent seasons but the player will be hoping to improve upon what was a poor season last year.